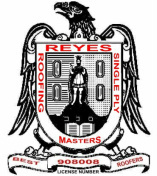 Reyes Single Ply Roofing Masters Corporation was founded by four brothers in 2007. They took their 22 years of roofing experience and decided to live the American dream by opening their own roofing business. The mission of Reyes Single Ply is to provide fast and professional service, while installing high quality roofing by highly skilled workers. We understand that today's businesses require a variety of complex roofing systems, so we use our vast knowledge and experience to adapt to any roofing need. We place emphasis on meeting the client's requirements in scheduling, follow-up, and documentation. When working with this company, you can be confident that you will deal with sincerity and camaraderie. With more than 20 years of experience, RSPR provides the best material, great customer support, and excellent roofing and roof repair services. We hold ourselves as the highest standard of quality in the industry and we use the best quality material to get your roof repair or new installation done well. We ensure our employees are trained to the highest ethical standards and our work reflects that. As a result, customer satisfaction is something that we pride ourselves with. When you need a roofing service, we can get the job done, and with excellence! Call Reyes Single Ply Roofing for an estimate!